If you’ve recognized an opportunity to earn money by telling people about the benefits of owning a water ionizer, you’re not alone. Water ionizer sales are booming. As more people try the water and feel the benefits from themselves, they tell friends and family members – and many of those people decide to purchase a water ionizer for their home. To be successful you’ll want to find the opportunity that is right for you. Are you interested in a “passive” opportunity to make a little extra money without investing a lot of time or money? 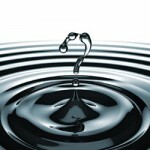 Do you want to make water ionizer sales your full-time business? Or are you somewhere in between? This article will give a brief overview of the types of opportunities out there – and how to choose a water ionizer company and business opportunity that’s right for you. These are the most passive opportunities to earn money by sharing your water ionizer knowledge and experience. As an affiliate, you will get a unique affiliate ID with a link or webpage you’ll use to refer prospects. When a prospect uses that link to purchase a water ionizer, the parent company registers that sale as being generated by you and you will receive a commission on the sale. Some affiliate programs are multi-tiered, meaning if someone you refer decides to become an affiliate, you’ll also receive a commission on any sales that they make. In most cases, becoming an affiliate requires purchasing a water ionizer from that company – which makes sense given that owning and using a particular unit makes you uniquely qualified to sell others on its benefits. Once you have purchased your personal unit, you can fill out the affiliate application form. Just remember to ask the person or company who sells you your water ionizer if they are an affiliate. If so, start out on the right foot – ask for their affiliate sign-up link so that they get credit for bringing you aboard. They are more likely to become a valuable resource to help you build your own affiliate program if it’s a multi-tier affiliate program and they receive a commission on sales that they help you make. These programs can be a bit more time consuming but can also be more profitable. Depending on the company, you will either submit paperwork to the parent company which has been filled out by your prospect, provide a special link the company has provided you which will ensure you are credited for the sale, or the company will provide you with your own distributor website, ready to go, so that prospects can order online. Most companies who offer distributor websites also charge an annual fee for the website. 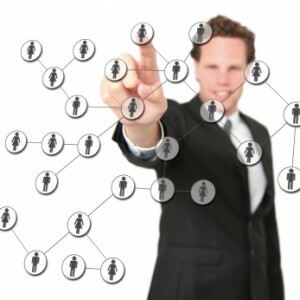 The “business plan” for some MLM’s can be complicated as well. Commissions can vary based on a number of criteria – how many units did you personally sell? 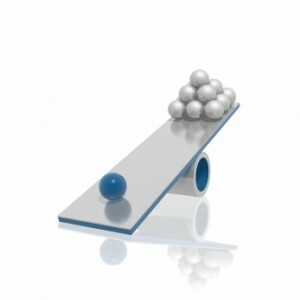 Is your “downline tree” balanced? How many sales did each leg of your downline generate? Also, the actual commission isn’t always clear with companies using terms like “BV points” indicating the weight given to sales of different products which can also affect how much you earn. 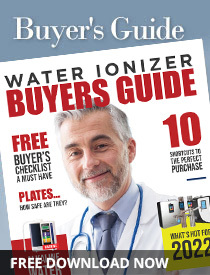 Many water ionizer companies are actively seeking dealers across the country. Becoming a dealer requires purchasing three or more water ionizers from that company – usually at least one at full retail price. After that, you’ll be able to purchase additional inventory from the company at wholesale prices and resell to people in your community – or online – at retail pricing. Here’s a tip when deciding which water ionizer company might offer the best income opportunity. First, go to the parent website and look for ANY reference that says “call for special pricing.” The parent company should NOT be undercutting its dealers and “call for special pricing” is exactly how they do that. The parent company can always sell for less because their cost on the unit is lower. If you see “call us for special pricing” on the parent company’s website you may end up losing sales to the main company. Also, visit several authorized dealer websites for that company and compare the prices you see there to the prices shown on the parent company’s website. The price on the parent company’s website should be the same or higher than the prices you see dealer’s offering. Some companies “neglect” to notify dealers of special sale pricing. The company will offer a sale on their website but “forget” to notify its authorized dealers – so customers shopping for the best price on their products are more likely to buy from the parent company than from you. Be sure to look at multiple dealer sites – some dealers never offer sale prices, others never get around to adjusting for sale pricing. Just make sure that the majority of the authorized dealer sites you visit have prices that match any sale pricing offered through the parent company’s website. Finally, check out the support features the company offers. Do they offer training? What types of support materials do they have available to help you get started? If you’ve been talking with a representative from the company about becoming an authorized dealer, how long does it take that person to return your calls? How quickly are they able to answer your questions? If they are slow to respond when trying to get you to become a dealer, chances are the service won’t improve after you’ve made your initial inventory purchase. Maybe you know about these chemicals and opt to only drink bottled water. As it turns out, bottled water quality is less controlled that tap water. Levels of chemical contaminants that exceed the EPA’s standards for acceptable water quality have been found in bottled water all over the country.